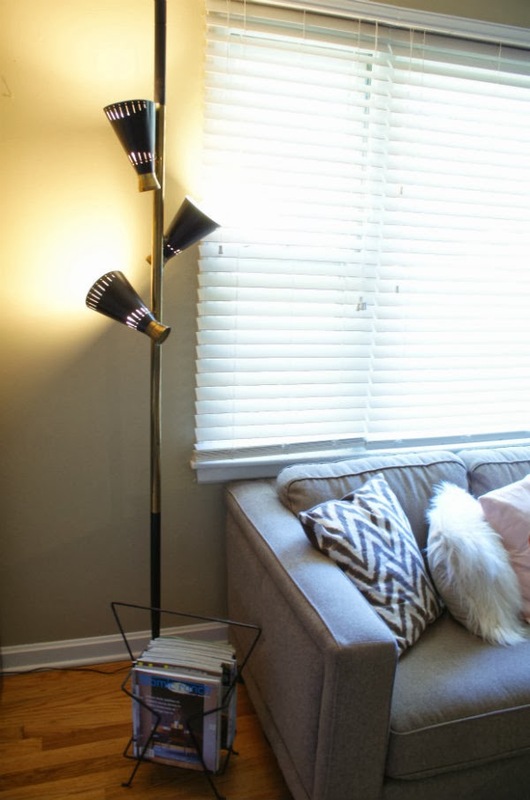 After I made plans to freshen up the seating area of our living room, I started by swankifying my lamp with a little spray paint. Pretty snazzy, eh?! Then I stored the wooden end table (i.e. stuck it in the basement) and moved the lamp and magazine rack closer to the sofa. Now I have easy access to my shelter magazines and a great reading light to boot! 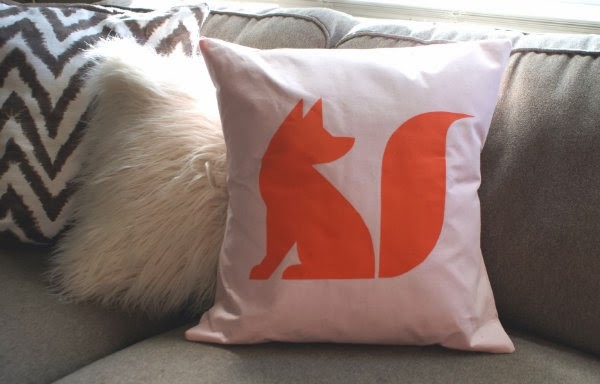 I also made a few toss pillows on the cheap, including the super cute fox pillow . The shaggy faux fur pillow is actually from Wal-Mart. I stopped in for light bulbs and was tickled when I happened across it; cute and very inexpensive! 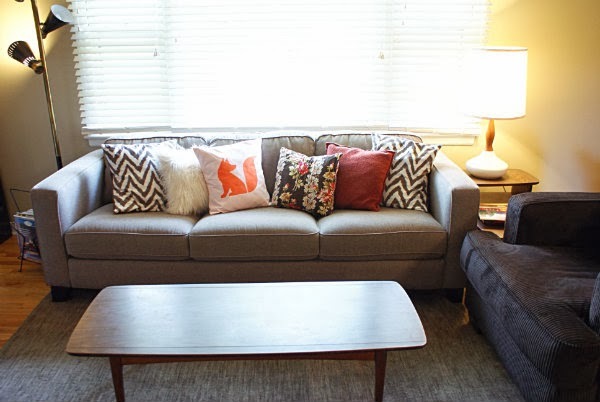 I would love to add this coffee table from Pottery Barn, but it's a little spendy. For now, we swapped the ottoman for a mid century coffee table that was stored in the basement. I think it's a nice little spruce up, but we aren't quite finished with the living room. Jesse and I are almost finished with a project for the entertainment wall that I can't wait to share.